Earlier this month we posted on our Car Accident Lawyer Blog that May is Bike Month, and local businesses are hosting events all over town to raise awareness about bicycle accidents in Boston and elsewhere throughout Massachusetts. The Boston.com reports that the city will be hosting 20 cycling events and at least 80 more throughout the Greater Boston region in honor of Bike Week. Boston Bike Week will be launched with events like the Kickoff Party at Giant Cycling World and Mayor Menino’s Bike Week Festival at City Hall Plaza. Our Boston bicycle accident lawyers know that these events can be fun and entertaining, but we want to remind enthusiasts to be safe as they partake in the activities. Traffic will be heightened with both cars and bicycles, so be extra careful as you maneuver around town attending these events. Municipalities, businesses and educational institutions throughout the state are excited about the MassCommuter Challenge being hosted May 14-20, 2011. The Challenge is a free and friendly competition open to anyone who lives, works or attends school in Massachusetts. Residents, students and employees pledge to bike everywhere they go throughout the week, or make as many trips as they can, to promote personal health and an eco-friendly environment. Not everyone is excited about Bike Week with the anticipation of bike lanes being built along a stretch of Massachusetts Avenue. Boston.com reports merchants along Back Bay are miffed about the potential loss of business when the bike lanes take away 71 parking spaces on the east side of the street meant for patrons. The city plans to create bike lanes along the highly traveled stretch of Massachusetts Avenue between Charles River and the Symphony area. The premise behind the lanes and the “number one concern of the transportation department” is safety, said Nicole Freedman, director of Boston Bikes, noting that Massachusetts Avenue had one of the highest crash rates in the city last year with 25 bike accidents requiring ambulances in the one-mile stretch. “Safety is definitely a paramount concern,” Freedman said. Merchants in the area understand that bike safety is a priority, but they also know that businesses will fail if patrons have nowhere to park. Many customers call the store to ask about parking before they even make the trip to the area. Bicyclists traveling on the proposed bike lanes will likely be using them as a means to get from point A to point B rather than a method of transportation to go shopping within the Back Bay area. 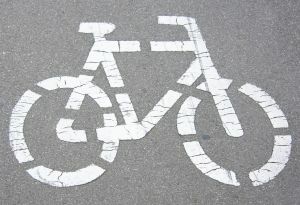 Bicycle accidents are proven to be a concern in Boston and throughout the state. Bike lanes may help improve safety, but bicyclists and motorists should learn to share roadways and use caution when using the same streets to travel. If you have been seriously injured in a bicycle accident in Boston or the surrounding areas, contact the experienced team of personal injury lawyers at the Law Offices of Jeffrey S. Glassman, LLC. For a free and confidential appointment to discuss your case, call 1-877-617-5333 or 1-617-224-0777.